~~> Lights, camera, action! Style these actresses for their big movie audition! It’s up to you to make them look like Hollywood stars! ~~> Be a top fashion designer! 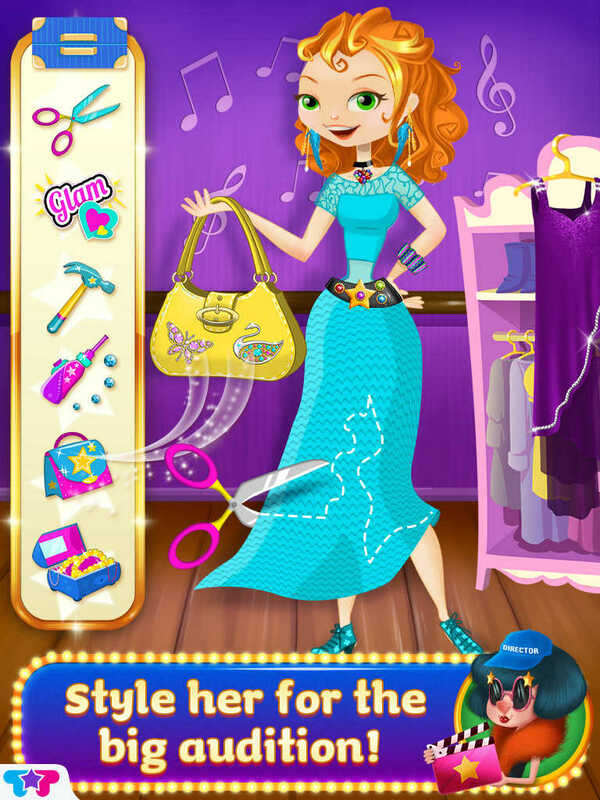 Customize patterns, design red carpet outfits, make your own jewelry, decorate accessories and more! 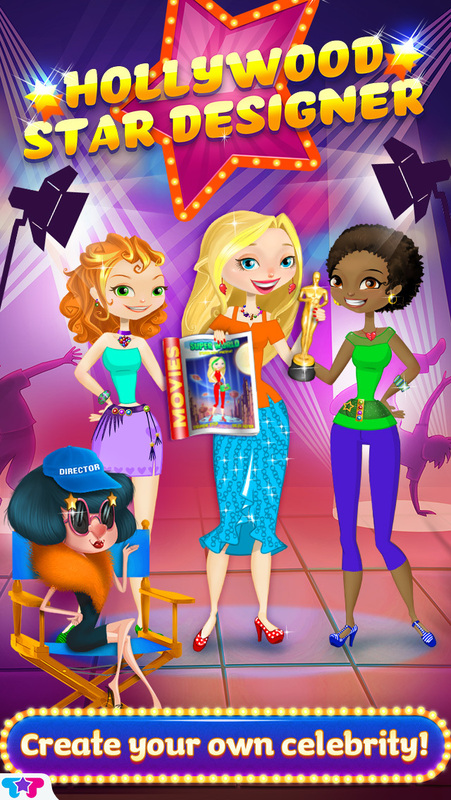 ~~> Create your movie star’s beautiful new look! Watch her become the most famous actress in Hollywood! Edna’s casting agency is in serious trouble! The actresses have arrived for their auditions, but look like a complete mess! Can you help fix them up?! Give them glamorous Hollywood makeovers, design stylish clothing and get them ready for the spotlight! Get creative with tons of design and styling activities! Create stylish outfits for your A-list movie star and customize her signature look. You can even make your own dazzling accessories and highlight your actress' bangs in awesome colors! Once your actress looks like the perfect movie star, head on over to the studio where you can see her starring in the hottest Blockbuster films! - Create your very own signature patterns! - Design the finest red carpet outfits! - Choose from a variety of fashion items and accessories! - Customize clothing with awesome stickers and sparkly decorations! - Sew patterns like a real celebrity fashion designer! - Design a one-of-a kind fashion belt! - Make your own fancy bracelets! - Customize your purse with stunning rhinestone patterns! - Highlight your actress bangs with tons of crazy colors! - Snap a photo of your brand new movie star! - See your movie star in movie billboards! With over 850 million downloads and growing, TabTale has established itself as the creator of pioneering virtual adventures that kids and parents love. We lovingly produce interactive e-books, games, and educational experiences for children.